Design your personalised iPhone 8 case. Your favourite design printed on the cork case. Personal and unique protection for your mobile! Cork is an extremely versatile material. 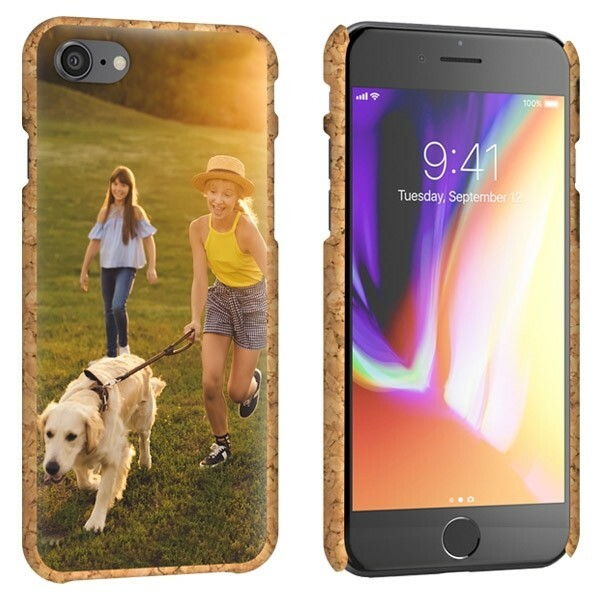 Due to its unique structure, cork has the perfect haptics and protects your phone optimally. Thanks to its flexibility and strength it protects your iPhone 8 from bumps and scratches so it keeps looking as new for longer! 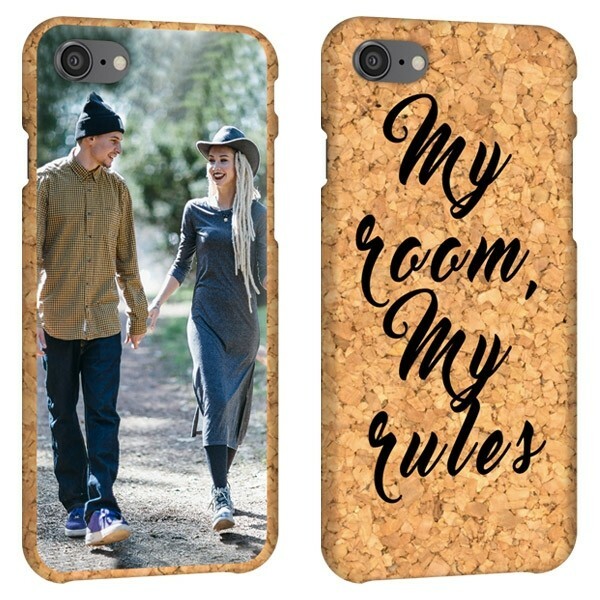 By designing your personalised iPhone 8 case your mobile will not only be provided with the perfect protection but also it will give it a unique and personal look! Thanks to our design all buttons and features of the iPhone 8 remain easily accessible. How do I design my personalised iPhone 8 case? 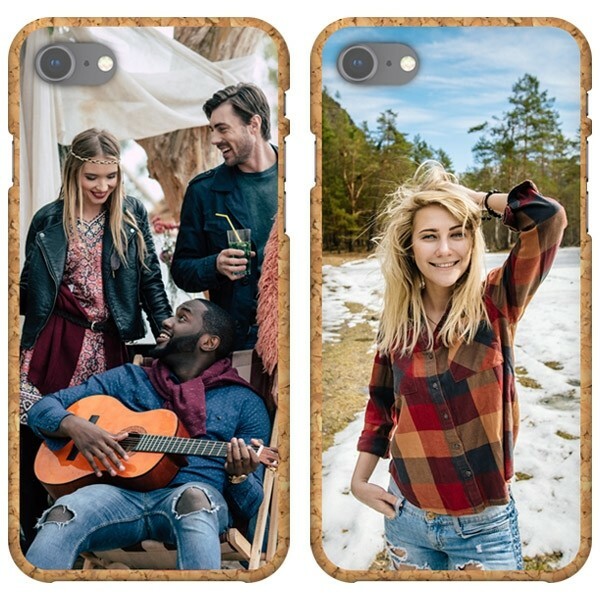 With our user-friendly design-module, you can design your iPhone 8 photo case in only a few simple steps. Start by uploading your favourite picture or design from your computer. You can also choose to upload directly from Facebook or Instagram. As soon as you have uploaded your image it is time let your creativity run free! You are able to edit the image by moving, rotating and resizing it. To make your personalised iPhone 8 case look even more unique you can also add an important text, date or a colourful filter. The possibilities are limitless. A personalised phone case is not only fun for you, but would also make a great gift idea! When you are done designing your personalised iPhone 8 case you are ready to place your order. Our production team will make sure to produce it as quickly as possible. The design will be printed on the case using high-quality UV printers with scratch-resistant ink. Your iPhone 8 photo case will be printed and shipped within 24 hours! Do you still have questions about the case or ordering process? Please contact us via support@gocustomized.co.uk. We will be happy to help you! What are you waiting for? Start now!